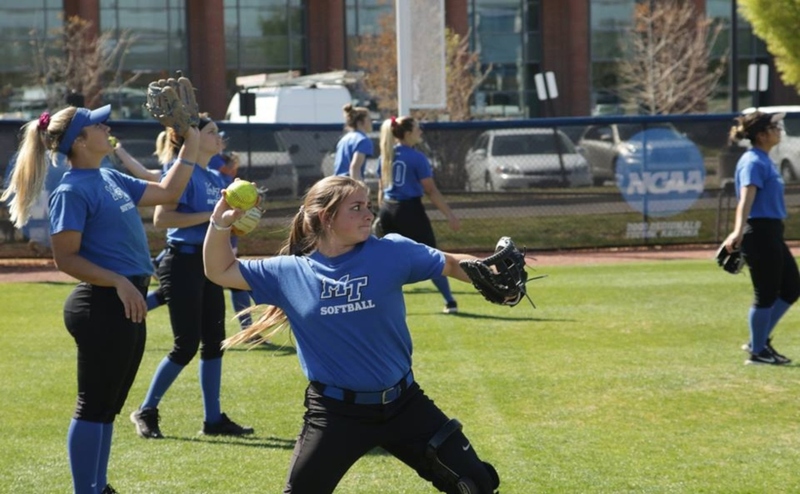 The Middle Tennessee State Blue Raiders (23-17, 7-4) hosted the University of Alabama Birmingham Blazers (15-22, 5-9) on Saturday where the teams split a doubleheader. Sunday’s contest was cancelled the morning of due to a series of storms passing through Murfreesboro. UAB opened the afternoon in the top of the first with a Sadie Frazier single that allowed third baseman Dylinn Stancil to cruise home for the first run of the ball game, putting the Blazers up 1-0. That score held steady for another inning until the top of the third when UAB’s Sarah Crawford hit a grand slam, sending teammates Destini England, Jenna Olszewski as well as Frazier home to increase the lead to 5-0. 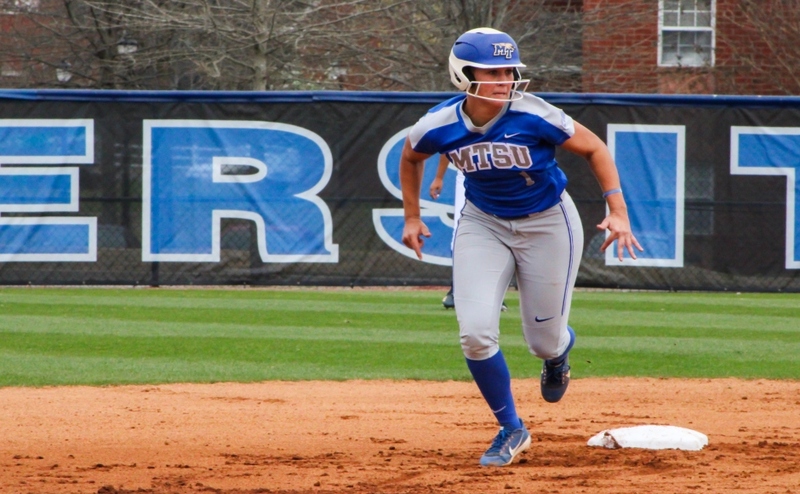 The Blue Raiders responded strongly in the bottom of the inning with three runs and two hits. Brooke McClure was accounted for an RBI, while Lexi Cushing accounted for two. That brought the Blue Raiders closer to tying, making the score 5-3 after three. MTSU held steady defensively in the top of the fourth, allowing just one hit and zero runs. 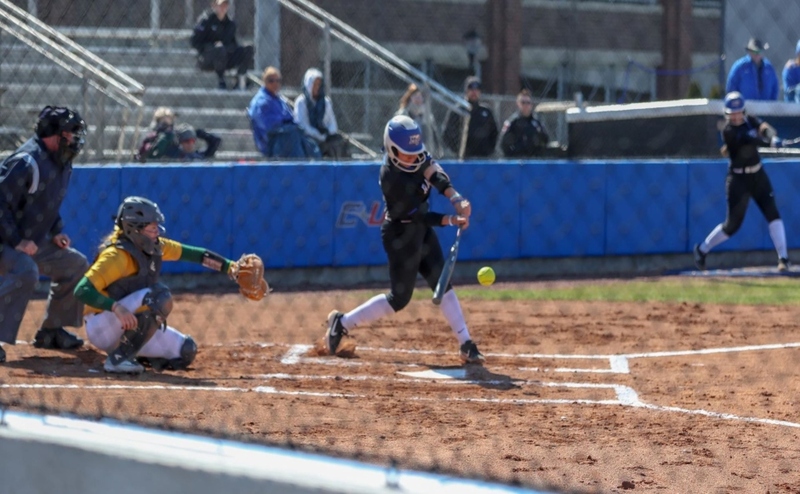 In the bottom of the fourth, it was evident that the Blue Raiders had gained the momentum with three hits from Summer Burgess, McClure and Jocelynn De La Cruz that sent runners home, putting MTSU in front of the Blazers on the scoreboard for the first time in the afternoon. 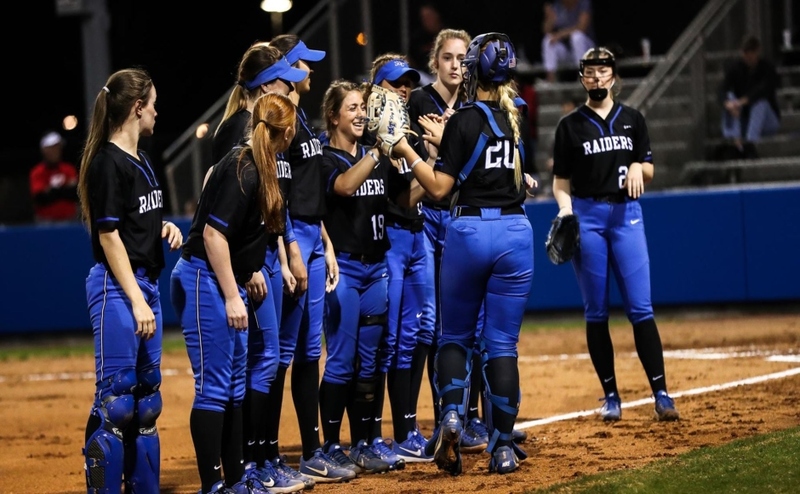 The Blue Raiders continued to strive in the field, giving up just one hit the rest of the afternoon and walked away with a 6-5 comeback victory. Like the first game of Saturday’s double header, UAB jumped out to 1-0 lead after Olseweski scored off of a Frazier double. MTSU was unable to register a hit in the bottom of the inning. Both teams left runners on the bag in the second and third innings and the 1-0 score held strong going into the fourth. UAB changed that by adding two runs courtesy of a double from Natalie Erwin that sent runners Ashton Clem and England to home plate. MTSU had an answer but not enough to do damage. Kirstyn Cuccia singled, which allowed Savannah Freeman to put the Raiders on the board. UAB led the game 3-1 after four quick innings. 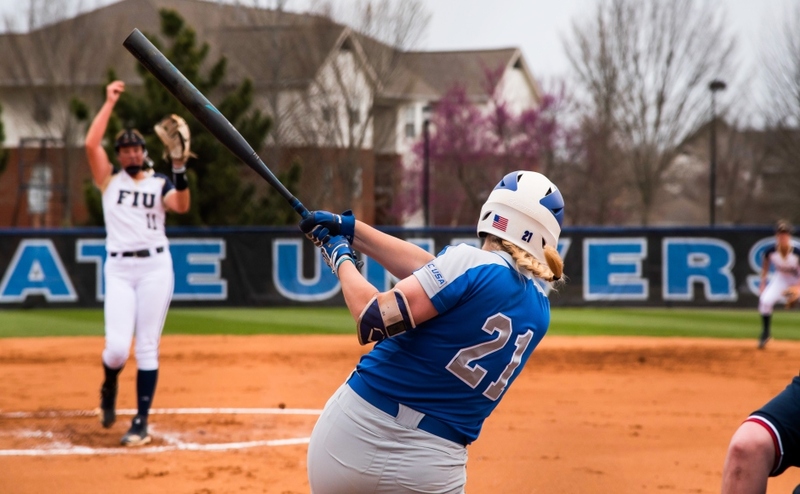 The Blue Raiders held UAB to zero hits in the final three innings but were unable to capitalize on their opportunity to get back in the game, leaving three runners on base. The 3-1 score would hold for the final, and the teams would walk away with a split series due to Sundays game not taking place. The Blue Raiders will travel to Boca Raton this Saturday to partake in what will be a three-game series against the Florida Atlantic Owls. The time for first pitch is TBA.